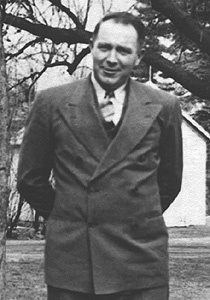 Frank Benson Bradley of Fairview Street, Simsbury, was born September 28, 1906 in Canaan, Connecticut, son of Jennie (Benson) and Leighton Bradley. 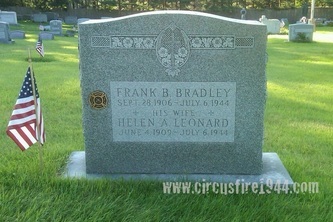 Frank and his wife Helen Alicia Bradley were both found dead at the circus grounds after the fire on July 6, and were buried at St. Bernard's Cemetery in Tariffville after services at the C.H. Vincent Funeral Home in Simsbury. 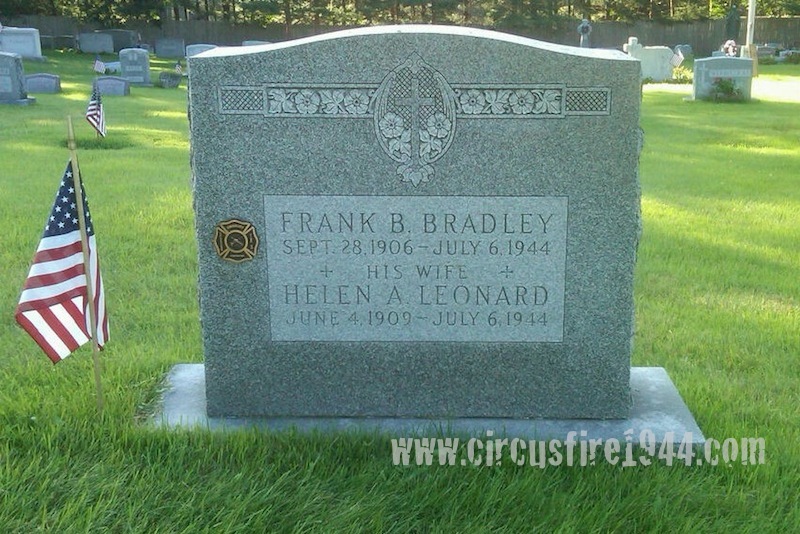 Mr. Bradley leaves two daughters, Irene A., 15, and Helen Frances, 12, both of whom attended the circus and survived; his parents, of Canaan; and two brothers, Edward and Oscar Bradley. Body #1514 was identified as Frank Bradley at the State Armory on July 7 by a neighbor, Roy Gaudreau, and on the body was found a watch and a chain. 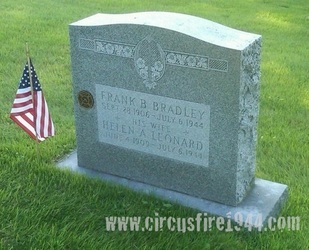 Frank and his wife took their daughters to the circus and were killed when they went back inside the burning tent to find their girls, who had already escaped. Earlier in 1944, Frank was one of 17 men who formed what would become known as the Simsbury Volunteer Fire Company, and they now host a memorial website for him, including information about his wife and daughters. Mr. Bradley's estate was awarded $15,000 by the arbitration board.